The phenolic content in lignin makes it a potential substitute for formaldehyde-based synthetic wood adhesives. In the present work, lignin isolated from Hevea brasiliensis was treated with laccase enzyme to obtain active lignin. The activated lignin (NaOH treated) was further formulated with natural rubber latex (NR-latex) to prepare bio-adhesive. Complementary analysis such as modulus of rupture (MoR), modules of elasticity (MoE), internal bonding (IB), Fourier transform infrared (FTIR) spectroscopy, thickness swelling (TS), and scanning electron microscopy (SEM) were applied to characterize a medium density fibre-board (MDF) prepared based on bio-adhesive formulation. 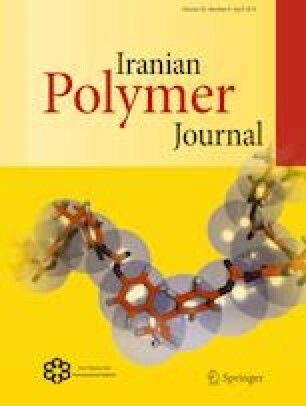 It was found that bio-adhesive formulation of 10 g NR-latex with 10 g of lignin has the highest MoR of 16 MPa, while the formulation of 15 g NR-latex with 5 g lignin showed the highest MoE of 15 MPa. The TS result showed that there is a weight gain on MDFs with a lower proportion of NR-latex content which consequently increases the density of the composites. The FTIR analysis of formulated bio-adhesive revealed the significant difference in chemical composition with different proportions of lignin and NR-latex in bio-adhesive. Finally, SEM examination of the interfaces of formulated bio-adhesive and wood fibre material showed the better dispersion with no adhesive lumps. The author would like to thank Faculty of Chemical and Natural Resources Engineering from University Malaysia Pahang for the cooperation provided by all technical staffs for conducting this research work in the polymer lab. We gratefully acknowledge the financial support of the UMP, Malaysia (RDU170132).